There are few truly great Christmas rap songs. There’s the one by Run-DMC, there’s Chance the Rappers honestly explosive Christmas mixtape with Jeremih from a few years ago, and now this. Truly the greatest and most festive of Christmas songs because it celebrates the one thing that Christmas could never do without: unfettered capitalism. So lo and behold, the true star of Christmas, as directed by the Kool-Aid corporation, has teamed up with Lil’ Jon and the wall smashing Kool-Aid Man to release an incredible song, “All I Really Want For Christmas”. The song is exciting, and the video is too. Lil’ Jon raps on the majority of it as the rapper and giant red pitcher dance up and down the snowy halls of a fine upper class suburban home brimming with snowflakes and kids dancing in the hallways. 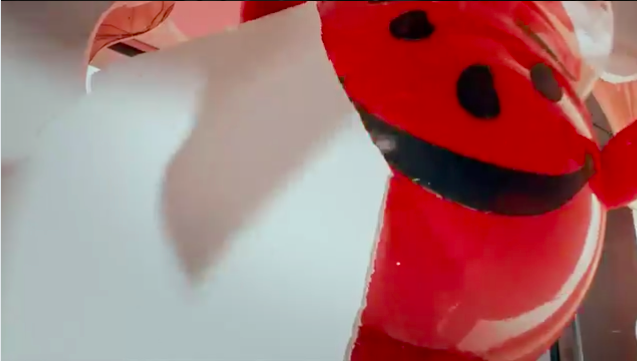 While Lil Jon does get the majority of the lyrics, the Kool-Aid Man does happen to throw in an “oh yeah” in there once or twice, as is the Kool-Aid man’s true talent. Also, did they throw some shade at eggnog? Makes us sick here at What’s Trending to see that fine egg based goo treated as if it was something vile. And to tell the world that Kool Aid is better? Lil Jon, I know the big red drink man lined your pockets with powder, but to speak such things! The very idea is unheard of! Still, the song is pretty kicky. Make sure to have twerk in front of your family it this holiday season. Pretend the Kool-Aid man is cheering you on. Cheering on you being a true piece of garbage, as you have always dreamed he would do. Bless thee Mr. Aid Man.